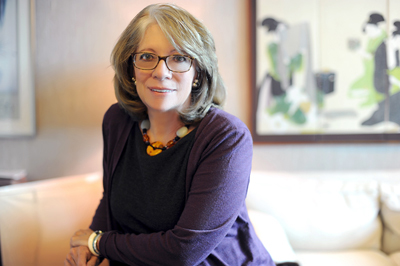 Roberta Cooper Ramo, the first woman to head the nation’s largest lawyers group and shareholder at Modrall Sperling, has been chosen to receive the ABA Medal, the highest award of the American Bar Association. Besides making ABA history by becoming its first woman president in 1995, Ramo became the first woman elected president of the American Law Institute in 2008, a position she retains today. She is the only person to have led both organizations. In addition, she was elected in 2011 to the American Academy of Arts and Sciences, is a member of the American College of Trust and Estate Council and has been awarded six honorary degrees. She will receive the ABA Medal at the ABA Annual Meeting in Chicago during the General Assembly August 1 from 4 to 4:30 p.m. at the Hyatt Regency Chicago. Roberta Ramo concentrates her practice in the areas of mediation, arbitration, business law, real estate, probate and estate planning. She also is called on to assist large corporations with their strategic and long-term legal planning. The ABA Medal recognizes exceptionally distinguished service by a lawyer or lawyers to the cause of American jurisprudence and is given only in years when the ABA Board of Governors determines a nominee has provided such service to the law and the legal profession. Among previous recipients are legendary justices of the U.S. Supreme Court, including Oliver Wendell Holmes, Felix Frankfurter, Thurgood Marshall, William J. Brennan Jr. and Sandra Day O’Connor. Other recipients include Watergate Special Prosecutor Leon Jaworski; human rights activist Father Robert Drinan; co-chair of the Bill and Melinda Gates Foundation, William H. Gates Sr.; and prominent attorneys David Boies and Theodore Olson.